The Colorado River is a 1,450-foot long river that begins in Colorado and flows through Utah, Arizona, Nevada, California and Mexico on its way to the sea. The Colorado River is easily the major river of the southwestern United States, draining some 242,000 square miles of land. The source of the Colorado River is in the Rocky Mountains in Colorado. The altitude where it starts is just over 9,000 feet, and the river drops in elevation more than a mile before it reaches Arizona's Grand Canyon. The average depth of the river is 20 feet, but there are deep holes that are as far as 90 feet deep. In some places the river is just 6 feet deep and it is made up of a combination of thrilling rapids and calm flowing water. 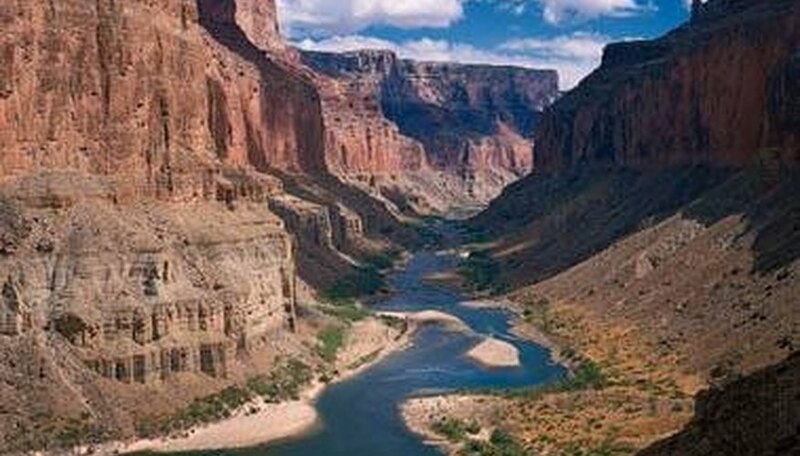 Over a period of an estimated 6 million years, the Colorado River carved out the Grand Canyon. This canyon is 277 miles long, more than a mile deep, and the majority of it lies within Grand Canyon National Park in Arizona. The 726-foot high Hoover Dam was finished in 1936 and created Lake Mead behind it. This dam is on the Colorado River on the Nevada-Arizona border, and was made a National Historic Landmark in 1985. 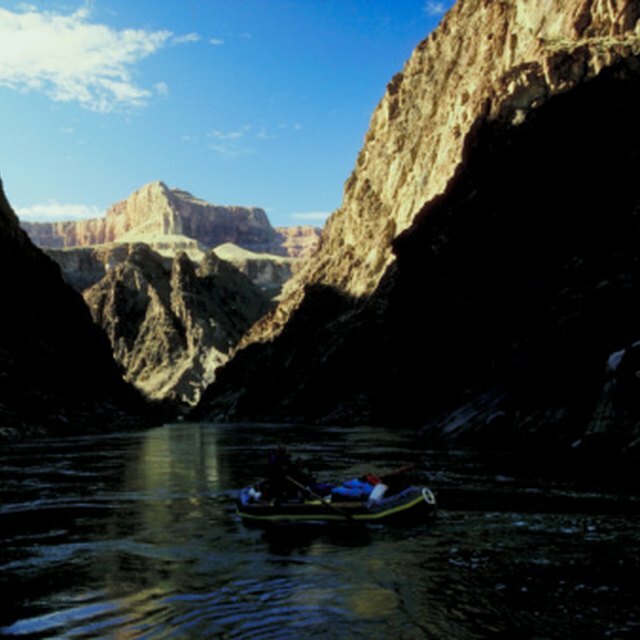 Some of the most formidable whitewater rafting challenges in the United States exist on the Colorado River. Various trips can be arranged through companies such as Western River Expeditions that can last for up to a week (see Resources). Lindell, John. "Facts About the Colorado River." Sciencing, https://sciencing.com/facts-colorado-river-4896446.html. 24 April 2017.